I'm dressed up as a kidnapper's victim. 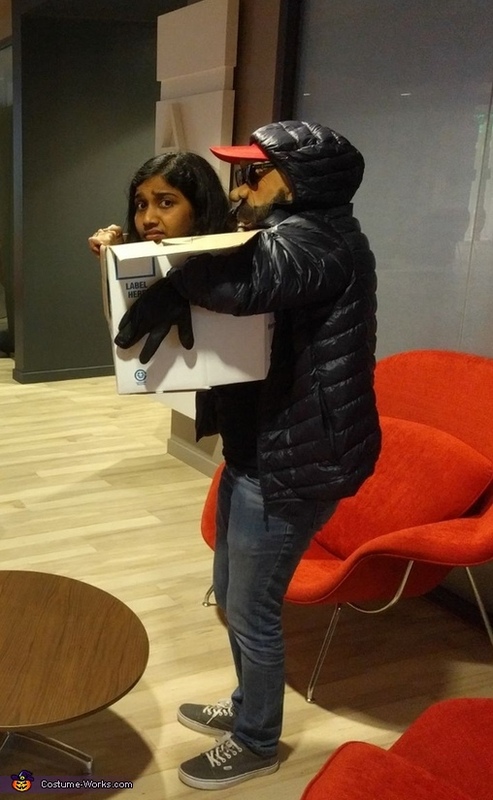 I'm the one sitting in the box and the man carrying me behind is a dummy that I made. Everything in the costume except for the mask was available at home. The mask was store bought and it costed me 19 dollars. I used paper for stuffing the dummy' s body and head and used a clothes hanger to structure the body of the dummy. I cut a hole in to the carton box and attached it to the dummy's body with tape and rubber bands.